Keeping up with your expenses in college can be challenging. Especially when you obviously just have to order food like every weekend, am I right? 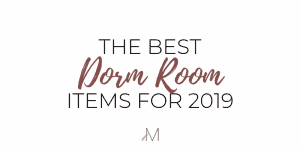 If you’re a broke college student looking for ways to support your fast food appetite, or you know, pay some bills, then this post is for you. 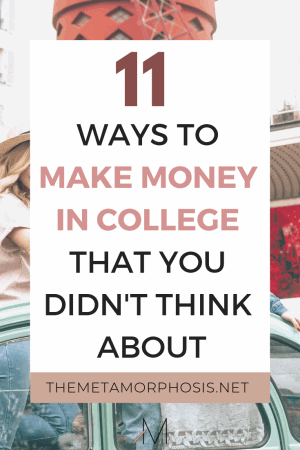 This post is all about ways to make money in college so you don’t have to live the broke college student life. Affiliate links are used in this post, however, all opinions are my own. Read my full disclaimer here. Starting a blog was one of the best decisions I’ve made! Don’t get me wrong, it requires a lot of hard work. But once you get past that you can make a lot of money from your blog. If you’re interested, I created a free 6-day email course to walk you through the process and teach you how to make money blogging! If you’re creative and want to share your thoughts and talents online in another way you can start your own Youtube channel. Youtubers have been known to make thousands per month! Plus, you don’t have to start with expensive equipment like what the pro YouTubers have; all you need is an iPhone and good lighting. You can also opt-in to buy a tripod stand for your iPhone with a ring light. This is the one my friend used to start his Youtube channel. 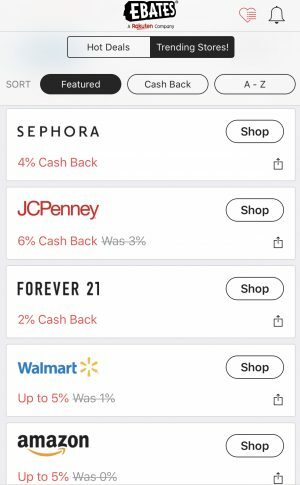 Ebates is a cashback website that offers cash back on over 2500 stores like Walmart, Amazon, Bed Bath & Beyond, Target, Forever 21, Expedia and more! So it also helps you save at stores you already shop at. Now here’s how you make money with Ebates: when you refer a friend, you make $25 after they make their first purchase. But here’s the thing about that; Ebates offers cash back on so many stores that people normally shop so it would be easy to make a qualifying purchase. To learn more about how Ebates works and how I passively made $130, read my full review and learn how to best use Ebates to maximize your cash back. 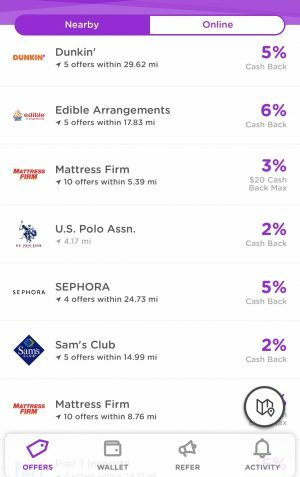 Dosh is another app that gives you cash back on stores like Sephora, Sams Club, Forever 21 and lots more. The difference here (and how you can make money with Dosh) is that you get an instant $5 bonus when you refer a friend – meaning you don’t have to wait for them to make a purchase. All they have to do is add in a card number and you both get $5 instantly – no purchase required! Then you can save with their cash back offers! Sign up here to get this offer. Colleges hire note takers to aid students with disabilities that are unable to take notes themselves. Contact your school’s office of disability services for more information. You also benefit from the academically because it requires you to pay attention in class to take good notes. 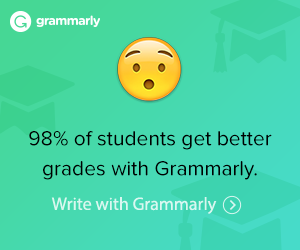 Therefore, it can also improve your grades. This is another option that can also help improve your grades while making money because it requires you to understand a subject well enough to explain it. You can either sign up for tutoring services on campus and get paid that way, or an external tutoring service like StudySoup. One of the ways I make money from time to time is by participating in experiments on campus. I signed up for an email list to get notified of these experiments within a specific area of study at my school. (And don’t worry, it’s not as scary as it sounds). All I do is show up and answer a few questions or play a computer simulated game for 30 minutes and I make up to $30 for each experiment! Check with the psychology, policy studies, and other research offices on your campus to see if they offer paid experiments for students. You get the point – there are a bunch of apps to sell your used clothes on. Rather than throwing your old clothes away when you’re upgrading your closet, try selling your clothes online to make some extra cash. You can also go to places like Plato’s closet where they buy your used clothes. They may not pay you that much but it’s better than nothing. Do you currently make/are you thinking about making products to sell? This could be a great income stream in college and a big resume booster! Whether it’s your art, t-shirts, photography pictures (yes, you can sell stock photos) and more. You can sell your products on websites like Etsy or your own personal blog. If you offer services like graphic designing, website creation or social media management, you can use Fiverr for this. If you have a car on campus and you don’t mind putting a few miles on it every now and then, try driving for Uber and Lyft. It’s a great way to earn some extra cash in college + you get to pick your own schedule. You can choose to drive on mornings or nights depending on your schedule. A few of my friends have made a lot of money babysitting in college. If you love kids then this will be a perfect option for you. The pay is great and you get to make a new friend! There are also babysitting apps you can sign up for that help pair you with a family. That’s all the tips I have on how to make money in college! Have any more ideas? Leave a comment below. But before you go..
You don’t want to miss out on these college posts!